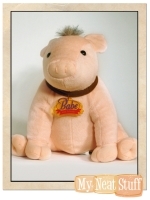 This is a 9.25" soft stuffed cloth doll of babe the talking pig who actually talks. When the button inside of Babe's left ear is squeezed, we hear such phrases as I'm just a pig on a mission and Whoa! And my name is Babe, among others. 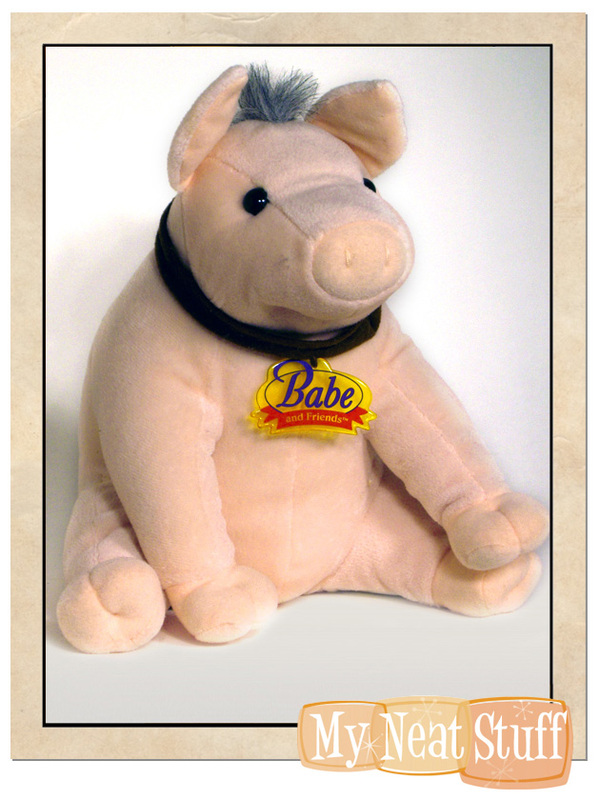 Babe is shown sitting on all fours with a brown collar around the neck with clear yellow plastic babe and friends tag.